Tucked away in an undiscovered piece of Gauteng in the quiet Schurveberg valley inside the Crocodile River Reserve is Protea Ranch. It boasts panoramic views, undisturbed nature, parkland gardens and tranquillity — ideal prerequisites for healing and introspection. 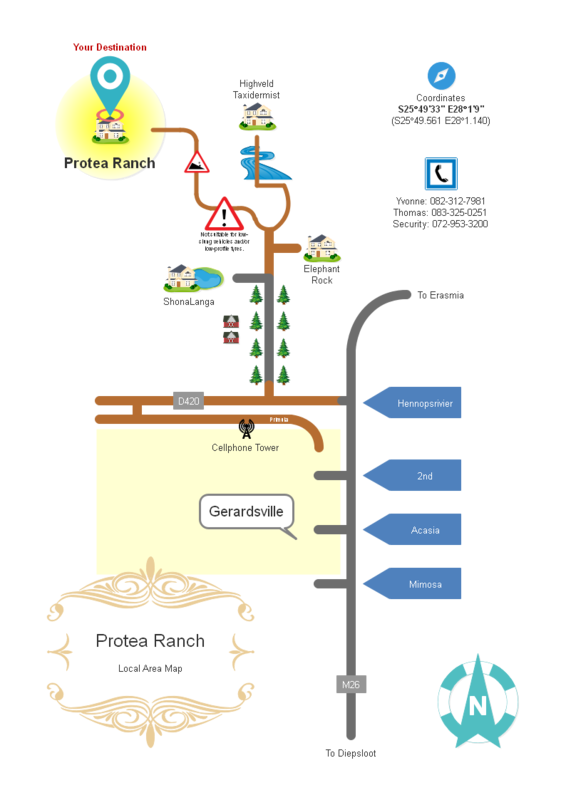 It's an easy ride to Protea Ranch from Pretoria via Fountains Valley and Laudium or via the N14 Krugersdorp Highway and there are two main routes to Protea Ranch from Jo'burg along Summit Road from the Olifantsfontein exit off the N1 or along William Nicol which becomes the R511. Scan this QRcode to start navigating to Protea Ranch. Thomas consults in a spacious, private corner of Protea Ranch's Auditorium. Outside waiting areas and guest toilets are available for adults travelling with one but there are no facilities for unsupervised, unaccompanied children.